1. Фрумкин А.П. Цистоскопический атлас. М.: Медгиз, 1954. С. 114–5. [Frumkin А.P. Cystoscopic atlas. Мoscow: Меdgiz, 1954. Pp. 114–5. (In Russ.)]. 2. Ильинская Е.В. Патоморфологический анализ и патогенетические особенности лейкоплакии мочевого пузыря у женщин. Автореф. дис. … канд. мед. наук. Новосибирск, 2007. [Il’inskaya Е.V. Pathomorphologic analysis and pathogenic peculiarities of the bladder leukokeratosis at women. Аuthor’s abstract of thesis … of candidate of medicine. Novosibirsk, 2007. (In Russ.)]. 3. Асламазов Э.Г. Гельминтозы органов мочеполовой системы. Автореф. дис. … д-ра мед. наук. М., 1991. 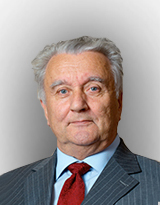 [Аslamazov E.G. Helminthoses of urogenital system organs. Аuthor’s abstract of thesis… of doctor of medicine. Мoscow, 1991. (In Russ.)]. 4. Ahmad I., Barnetson R.J., Krishna N.S. Keratinizing squamous metaplasia of the bladder: a review. Urol Int 2008;81(3):247–51. 5. Schistosomes, liver flukes and Helicobacter pylori. IARC Working Group on the Evaluation of Cardiogenic Risks to Humanos. Lion, 7–14 June 1994. IARC Monogr Eval Carcinog Risks Hum 1994;61:1–241. 6. Steinmann P., Keiser J., Bos R. et al. Schistosomiasis and water resources development: systematic review, metaanalysis, and estimates of people at risk. Lancet Infect Dis 2006;6(7):411–25. 7. Khalaf I., Shokeir A., Shalaby M. Urologic complications of genitourinary schistosomiasis. World J Urol 2012;30(1):31–8. 8. Cheng L., Lopez-Beltran A., Bostwick D.G. Bladder Pathology. Wiley- Blackwell, 2012. Pp. 14–28. 9. Botelho M.C., Oliveira P.A., Lopes C. et al. Urothelial dysplasia and inflammation induced by Schistosoma haematobium total antigen instillation in mice normal urothelium. Urol Oncol 2011;29(6): 809–14. 10. Аль-Шукри С.Х. Хирургическое лечение стеноза мочеточника шистосомной природы. Урология и нефрология 1980;(4):43–6. [Аl’-Shukri S.Kh. Surgical treatment of the ureter stenosis of billiarzial origin. Urologiya i nefrologiya = Urology and Nephrology 1980;(4):43–6. (In Russ.)]. 11. Ghoneim M.A. Bilharziasis of the genitourinary tract. BJU Int 2002; 89 Suppl 1:22–30. 12. Shokeir A.A. Squamous cell carcinoma of the bladder: pathology, diagnosis and treatment. BJU Int 2004;93(2):216–20. 13. Connery D.B. Leukoplakia of the urinary bladder and its association with carcinoma. J Urol 1953; 69(1):121–7. 14. El-Bolkainy M.N., Chu E.W., Ghoneim M.A. et al. Cytologic detection of bladder cancer in a rural Egyptian population infested with schistosomiasis. Acta Cytol 1982;26(3):303–10. 15. Sally L.H., Adel A.A., Sorenson K. et al. Predisposition to urinary tract epithelial metaplasia in Schistosoma haematobium infection. Am J Trop Med Hyg 2000; 63(3–4):133–8. 16. Broecker B.H., Klein F.A., Hackler R.H. Cancer of the bladder in spinal cord injury patients. J Urol 1981;125(2):196–7. 17. Delnay K.M., Stonehill W.H., Goldman H. et al. Bladder histological changes associated with chronic indwelling urinary catheter. J Urol 1999;161(4): 1108–9. 18. Polsky M.S, Weber C.H. Jr, Williams J.E. et al. Chronically infected and postdiversionary bladders: cytologic and histopathologic study. Urology 1976;7(5):531–5. 19. Reece R.W., Koontz W.W. Jr. Leukoplakia of the urinary tract: a review. J Urol 1975;114(2):165–71. 20. Stonehill W.H., Dmochowski R.R., Patterson A.L., Cox C.E. Risk factors for bladder tumors in spinal cord injury patients. J Urol 1996;155(4): 1248–50. 21. Khan M.S., Thornhill J.A., Gaffney E. et al. Keratinising squamous metaplasia of the bladder: natural history and rationalization of management based on review of 54 years. Eur Urol 2002;42(5):469–74. 22. Bostwick D.G., Cheng L. Urologic Surgical Pathology. 2008. 308 p.
23. Жарких А.В. Применение лазерной абляции при лечении женщин с хроническим рецидивирующим циститом и лейкоплакией мочевого пузыря. Автореф. дис. … канд. мед. наук. СПб., 2015. [Zharkikh А.V. Laser ablation at treatment of women with chronic recurrent cystitis and bladder leukokeratosis. Аuthor’s abstract of thesis … of candidate of medicine. Saint Petersburg, 2015. (In Russ.)]. 24. Ghoneim M.A., Khan M.S., Thornhill J.A. et al. Keratinising squamous metaplasia of the bladder: natural history and rationalization of management based on review of 54 years experience. Eur Urol 2002;42(5):469–74.